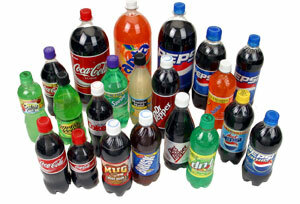 Next time you are in the mood for a soft drink or a fruit drink at the vending machine you might want to rethink it. Men that drink soft drinks and fruit punch are more likely to be diagnosed with depression. A recent research test was done with men between 50 and 71 years old and after 10 years of doing the research out of the 263,925 people that were involved in the test 11,311 men were diagnosed with depression. In the research it was proven that diet drinkers were at the highest risk for depression. If you want to drink anything that has sugar in it the researchers say that coffee isn’t to bad for you.